The Gradient Nevada is a glider in the En-B class. 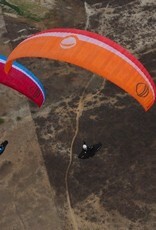 Its place in the Gradient glider range in between the Golden3 and the Aspen4. 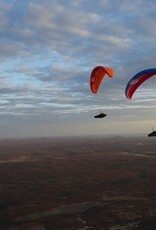 Our aim was to create a glider from the ground up. 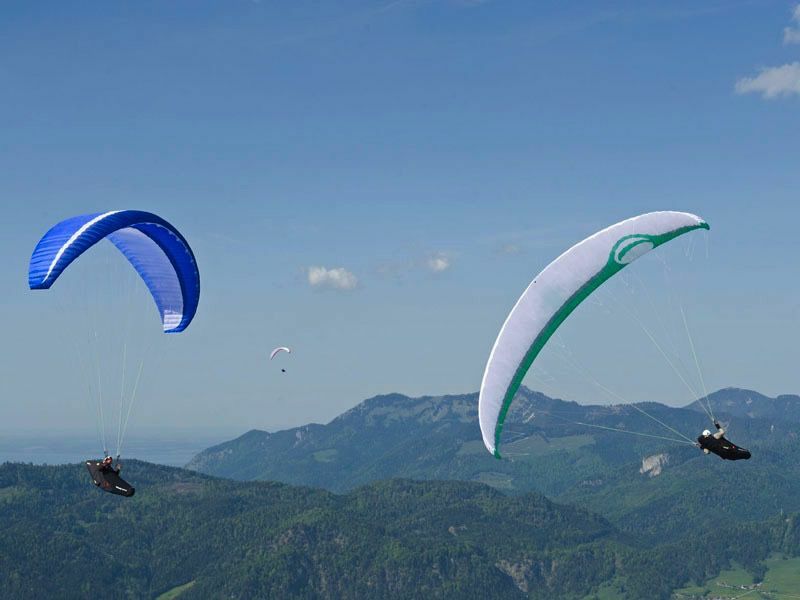 A glider which would follow the tumultuous development of paragliding technology of the last few years and at the same time use the latest know-how in the development of materials. 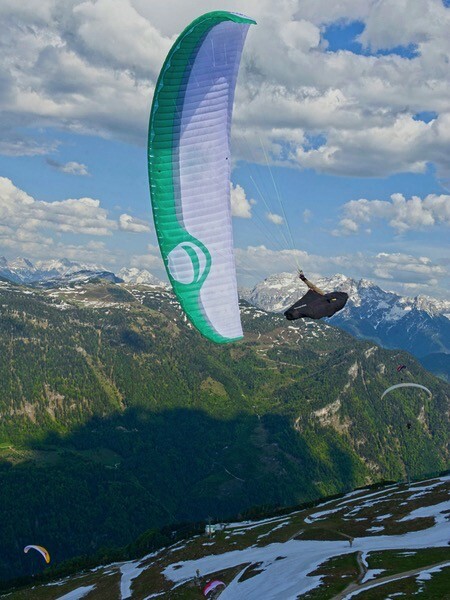 A glider which would bring a massive, distinct improvement in performance and still keep the pilot comfort, dynamics, handling and safety typical of Gradient’s gliders. The well proven Gradient DDsystem allows us to reduce all unnecessary drag to the minimum, while three and- a-half rows of lines guarantee a high level of passive safety. 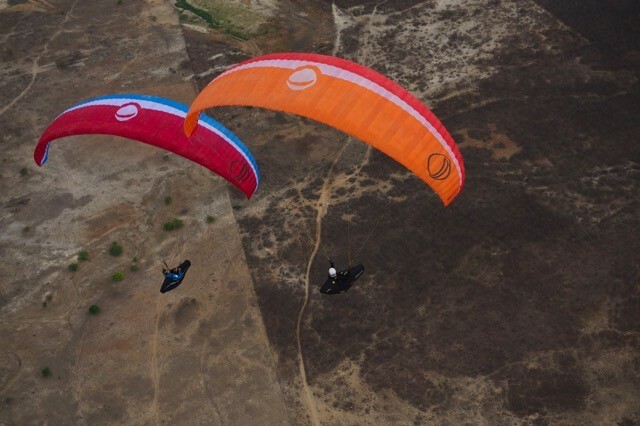 Outstanding glide performance, precise handling, predictable behaviour and stable accelerated flight make the Nevada a very attractive paraglider for a really wide group of XC pilots. The Nevada is designed as a high-end EN-B category glider and thus is intended for skilled pilots, who are capable of active flying. Technical description and features The Nevada’s ground plan has a slender, elliptical shape with a slight positive contortion of the leading edge. This means that the “ears” (stabilo) of the canopy are slightly swept back in flight. This modern design has a number of advantages. 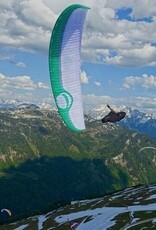 The glider’s profile has been specially developed to deliver maximum stability over as wide a speed range as possible. The position and size of the cell openings help support this objective. The leading edge is reinforced using integrated nylon and elastic. This ensures optimal inflation of the canopy and helps to retain the leading edge’s perfectly clean shape at maximum speed. 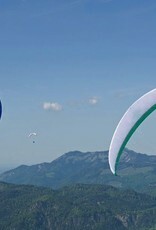 Attachment points between the lines and the canopy are reinforced by elastic nylon strings, optimising the distribution of forces across the glider. Gradient’s unique DDsystem makes it possible to reduce line consumption to less than 241m (size 28) – more than 33% less line when compared with the Golden3! 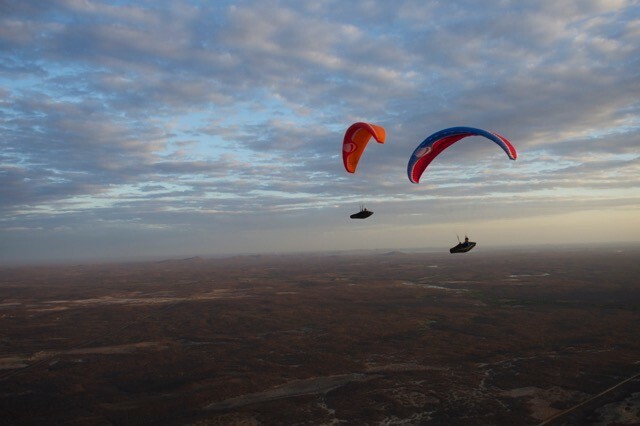 The layout of the line attachment points improve stability at maximum speed – an essential feature of modern high-performance paragliders. The upper level lines have progressively differing diameters and are made from special, very strong unsheathed lines. All these lines have the advantage of splice loops, to give maximum overall strength, durability and the lowest possible drag. The sophisticated combination of Dyneema and Vectran lines with different shrinking characteristics used in the glider maintain the correct geometry within the suspension system for a long time. The Nevada is supplied with a well proven three-riser speed-system which gives great acceleration and maximum speed. Gradient has paid attention to small details too, including new low-drag micro attachment points on the wing tips, small karabiners with special Gradient plastic locks for lines, new rucksack, inner bag and riser bag, etc.